This qualification, and the learning outcomes covered thereby, are based on the recommendations of the Resuscitation Council (UK) and the Skills for Health Assessment Principles for First Aid Qualifications. QA Level 2 Award in Activity First Aid (QCF) is registered on the Qualifications and Credit Framework (QCF) regulated by Ofqual. First Aid Risk Assessment. We have a new online calculator that can be used. 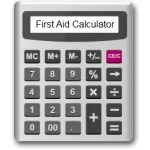 Please click the calculator icon opposite to access it (if you need assistance with your risk assessment please contact us as we would be happy to help). *Guided learning hours are provided as a guide to the estimated hours an average Learner would study to gain the unit. This does not have to be face to face instructional time and can include self directed study at home, such as reading course handouts and further self study. We recommend that the minimum face to face time that the QA Level 2 Award in Activity First Aid (QCF) should be delivered in is 12 hours contact teaching (excludes breaks). The qualification is designed for people who have a specific responsibility at work, or in voluntary and community activities, to provide First Aid when dealing with an emergency situation whilst undertaking activities, such as sports, swimming, hiking, rock climbing, etc.